What do Harry Potter, Sherlock Holmes, G.I. Joe and Charles Darwin have in common? They will all be coming to movie theaters this year. The only real person on that list will be played by Paul Bettany in the biopic Creation. And in true celebrity fashion, Darwin will be everywhere this year. In a convergence of anniversaries, Darwin would have turned 200 years old on Feb. 12, and his landmark book, On the Origin of Species, turns 150 on Nov. 24. There will be documentaries, lectures, conferences and museum exhibits. Darwin-themed blogs are being launched, and a cartload of Darwin-related books are being published. A replica of H.M.S. Beagle, the ship that carried Darwin around the world, will retrace his path. This January, Stanford University let a group of 90 people do likewise  albeit more comfortably, on a private Boeing 757. It's only fitting to recognize the accomplishments of a great biologist. But there's a risk to all this Darwinmania: some people may come away with a fundamental misunderstanding about the science of evolution. 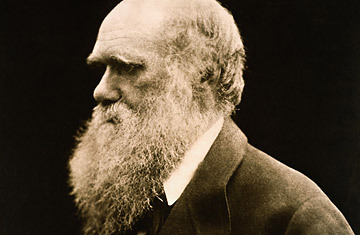 Once Darwin mailed his manuscript of On the Origin of Species by Means of Natural Selection, or the Preservation of Favoured Races in the Struggle for Life to his publisher, the science of evolution did not grind to a halt. That would be a bit like saying medicine peaked when Louis Pasteur demonstrated that germs cause diseases. Today biologists are exploring evolution at a level of detail far beyond what Darwin could, and they're discovering that evolution sometimes works in ways the celebrated naturalist never imagined. "The biological problems we're dealing with are much more complex," says Massimo Pigliucci, an evolutionary biologist at Stony Brook University in New York. "That said, it's a lot of fun. I'm not complaining." Darwin developed his theory by gathering as much information as he could about life. He collected it while voyaging on the Beagle, by sitting in front of a microscope back in England and by writing to a global network of correspondents. Today, however, biologists can feast on a far bigger banquet of data. The fossil record was scanty in Darwin's day, but now it has pushed the evidence of life on Earth back to at least 3.4 billion years ago. And while Darwin recognized that variation and heredity were the twin engines that made evolution possible, he didn't know what made them possible. It would take almost a century after the publication of On the Origin of Species for biologists to determine that the answer was DNA. DNA is like a genetic cookbook, using four molecular "letters" to spell out recipes for everything from hormones to heart valves. Biologists today are reading the 3.5 billion letters in the human genome as well as the DNA from thousands of other species, and they've amassed vast databases of genetic information that they can rummage through to learn about how life evolved. Time and again, biologists are finding that Darwin had it right: evolution is the best way to explain the patterns of nature. "You just can't even start to make sense of all this data without a framework of evolution," says Günter Wagner, an evolutionary biologist at Yale University.